Yes, this is rare – and hopefully, doesn’t become a habit. However, given the “cataclysmic” Yuan devaluations occurring literally every night – such as tonight (Wednesday) for the third straight night – I’m actually writing for the second time today. Throw in my weekly, MUST HEAR Kerry Lutz podcast, which I taped at 11 AM EST; five hours at the Denver Zoo; and more emails than on any single day since 2012, and here I am at 8:45 PM MST (9:30 PM as I edit), exhausted. 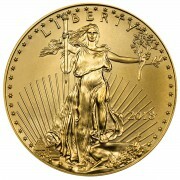 “In speaking to Andy Schectman, Miles Franklin’s President and co-founder (on Monday night, before the first Yuan devaluation), he said our silver inventory has been all but sold out, with nothing left for immediate delivery except 100 oz silver bars and a modest amount of beautiful Perth Mint funnel spider coins (which, by the way, I personally purchased on Tuesday); the latter of which, I’d be shocked to see still available by the time this podcast is posted. As for other silver products, junk silver – which in my September 2012 article, “must own junk silver,” I deemed the most likely to become the most valuable silver product on the planet – given its status as the “ultimate fear asset” – is becoming nearly impossible to procure, with premiums sitting near record highs for weeks, with no sign of “give” whatsoever. However, given said Yuan devaluation – which occurred barely an hour ago – I figured I’d put out this “special supplemental” article, divulging further commentary about the physical silver market (from a conversation I had with Andy Schectman two hours ago) – as well as specific details of the Great Horned Owl release. Regarding Precious Metal markets in general, long-time readers know of Miles Franklin’s long-standing belief that a lack of supply will ultimately define the physical Precious Metal markets – particularly silver, which is so much scarcer than gold. To wit, the 2008 crisis was a “hallelujah moment” for the bullion industry, when every global Mint sold out for nearly half a year; whilst the April 2011 peak (at $50/oz), before the Cartel’s desperate “Sunday Night Paper Silver Massacre” of May 1st, 2011, showed us that rising paper prices, too, can yield significant physical shortages. The same goes for gold; however, given silver’s dramatically tighter fundamentals, it always seems to “run out” first, and rises in price – in the paper markets, and “non-traded” physical premiums – far faster. Which is why, in our view, the Cartel works so hard to make silver so “difficult” to own, via relentless, high volatility paper attacks, with massive “betas” relative to gold. Well, here we are in 2015 – and even before the “final currency war” went nuclear with Monday’s first of three Yuan devaluation announcements, the physical silver market was getting extremely tight. With global production clearly peaking; miners on the verge of collapse (care of prices suppressed so far below the cost of production); and global demand exploding, the U.S. Mint again ran out of silver Eagles last month, for the third time in three years. That said, even with two full weeks of sales suspension, the Mint sold more silver Eagles in July than any July before it; and following a blistering start to August (again, before the Yuan devaluation announcements), it is on a pace to again set a new annual silver Eagle sales record. And that’s just here in the United States of Financial Propaganda, where 95% of the population couldn’t care less about Precious Metals. 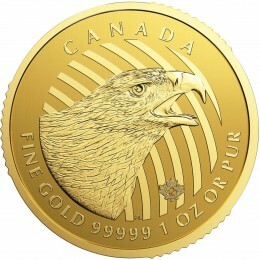 To wit, American silver Eagle delivery times have expanded to three weeks, whilst Canadian silver Maple delivery times have surged closer to six weeks. In fact, with the Great Horned Owl pre-release announced this week, and “not enough silver blanks” to go around, both generic silver Maples and Great Horned Owls are experiencing the same six week delivery times. Premiums have started to modestly climb, and with any kind of demand surge (can you say, global devaluation fears? ), to paraphrase Andy, we could easily be looking at a 2008-like supply/premium/delivery delay situation in a heartbeat. As of tonight, we still had some 100 ounce silver bars in inventory, but most else is gone. 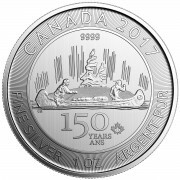 As for said “junk silver,” it is become nearly impossible to find, with near record premiums; appearing very much like it is starting to fulfill my long-time expectation that as the “ultimate fear asset”; not to mention, last produced 50 years ago; it may well become the world’s most sought after silver “numismatic” product. Of course, there is no guaranteed that the above premiums will be maintained. Or, for that matter, that the Great Horned Owl series will generate numismatic value at all. 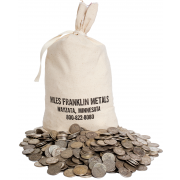 That said, here at Miles Franklin, we continue to vehemently support coins with significant “numismatic potential,” so long as little or none of said potential is currently “in the price.” In other words, if priced at or near “melt value,” they are like buying “optionality” for nothing. To that end, we encourage you to call us at 800-822-8080, and allow our staff of professionals – on average, sporting 22 years of industry experience – to give you a free consultation. And, as always, I can be reached via email at ahoffman@milesfranklin.com. OK, time to get some rest, as I wait to see how markets react to tonight’s third “cataclysmic” financial announcement in barely 48 hours!